(My inspiration for this mood board was the beautiful shades of pink and teal and a bit of the orange). 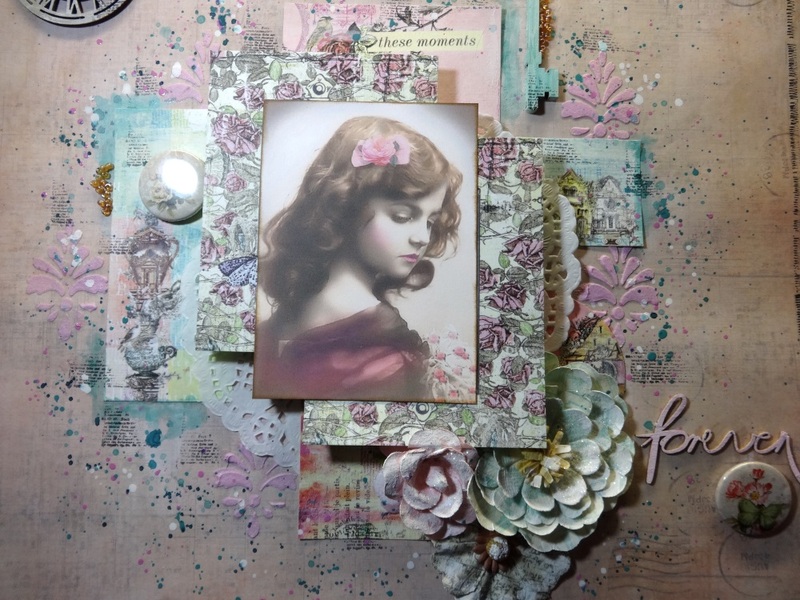 The mood board for the July 2015 Scrap Around the World challenge is wonderful! I was inspired by the pinks and teals and a bit of the orange. You should check out this awesome challenge - there is so much talent on the Design Team - and they always have so many entrants - because of the wonderful prize packages. Beautiful LO, I love the soft muted colors!! Gorgeous soft colours, a beautiful LO Kathy! So very pretty Kathy! Love the sweet vintage image and beautiful background! First of all...wow to this soft vintage layout Kathy and thank you so much for your comments on my post at BFS . Wow Kathy - this is so gorgeous! I love the use of colour and the awesome layers. Thanks for playing along at SATW! Hi Kathy sorry it was long ago I have bin here, but now I'm and what a stunning bloglayout. Also a stunning layout love your new styl of vintage. Such a pretty layout Kathy! Another beautiful vintage image featured! The background looks amazing! So much detail and texture! Love it! This is so beautiful. I love the texture, the layout and the colors. Stunning layout! Just gorgeous with the tones and layers! LOVE it! Your page is just amazing. Beautiful layout and flowers. I also love the pretty colors and papers.